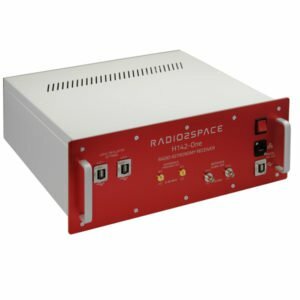 Are you interested in radio astronomy? Do you want to know how do radio telescopes work? This book will allow you to discover the amazing world of the Universe that our eyes cannot see but that we can study with radio techniques. 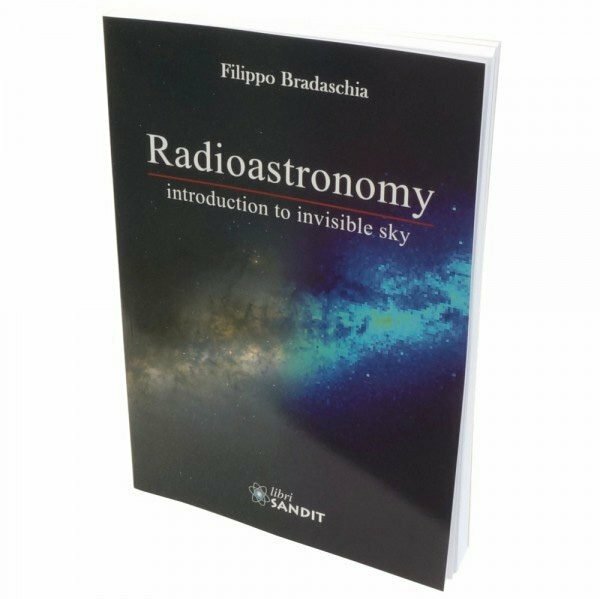 Author Filippo Bradaschia (founder of Radio2Space) explains the different themes of this science in a simple and understandable format thanks to a series of pictures and illustrations and where possible without using complicated formulas. 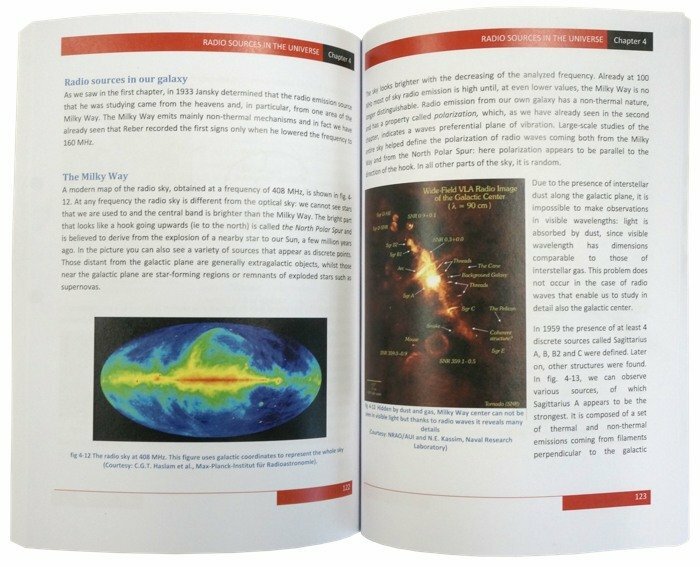 In the final part of the book the reader will find much interesting data and many references as a comparison between the ‘visible’ and ‘radio’ sky, a list of the most important radio sources and other resources available on the internet. Sitting at the computer, I wait for the CCD camera attached to my telescope to complete imaging M42, while its mount is correctly tracking the apparent motion of the stars in the sky. I look at the picture and think, ‘Here is the Orion Nebula.’ But I’m oversimplifying. In fact, I should say, ‘Here is the Orion Nebula seen in visible frequencies.’ I remember the amazement and curiosity I felt when, for the first time, I compared the images of astronomical objects taken at different wavelengths and, in particular, in frequencies of radio waves. The appearance could be very different, almost unrecognizable! Why? I knew radio-astronomy marginally but I had never pursued the subject. I found myself studying so many books and articles to discover a true ‘invisible sky’. I have been following amateur astronomy for many years and I have had constant contact with the evolution of the instruments used for what can be considered either a job or a hobby. Every day, amateurs (ie non-professional astronomers) are able to achieve top-quality results, which are often also sought by professionals. This specialization, however, remains confined in the wavelengths of visible, at the most close to the infrared or ultraviolet. The Universe that I was discovering was instead composed of objects sometimes invisible to ordinary telescopes but ‘luminous’ if studied in radio waves. I studied instruments which, although telescopes, had little in common with what I knew well and used.